Inspired by the true story of Ohio’s first female sheriff, this is a powerful debut about two women’s search for justice as they take on the corruption at the heart of their community. JESS MONTGOMERY is the Literary Life columnist for the Dayton Daily News and former Executive Director of the renowned Antioch Writers’ Workshop in Yellow Springs, Ohio. 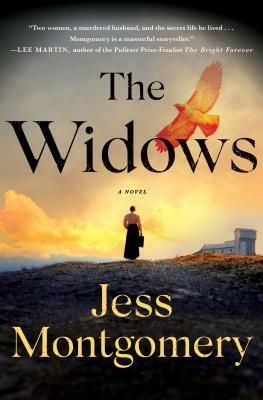 Based on early chapters of her novel The Widows, Jess was awarded an Ohio Arts Council individual artist’s grant for literary arts and the John E. Nance Writer-in-Residence at Thurber House in Columbus. She lives in her native state of Ohio.